Parking.com has convenient parking for the SpringHill Suites San Antonio Alamo Plaza hotel. Refer to the map for more information on parking, such as rates, entrances, and hours of operation. 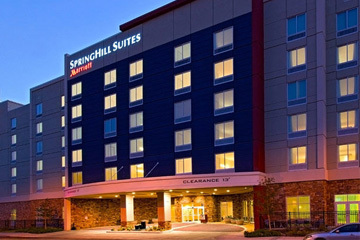 SpringHill Suites San Antonio Alamo Plaza is a contemporary hotel featuring airy suites. The hotel is within an 8-minute walk of the Alamo Mission and the River Walk.